Google says that half of its Internet traffic emanates from outside the US. 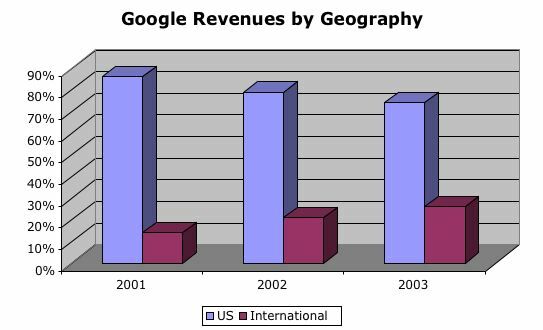 While this is significant, what really matters to Google is where the revenues emanate from. It’s not hard to see the international column surpassing the US column fairly quickly. As I’ve written before, Google is probably the most global commercial Web site ever created; it offers more than 90 localized Web sites. Every one of these sites is a potential source of advertising revenue. 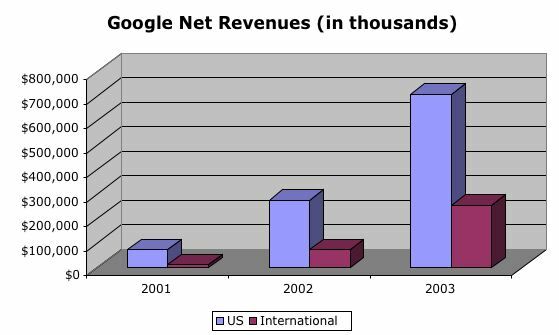 So it is not a question of if international revenues will surpass US revenues, but when.